Lima announces a new design for their device, only 2 months after the end of their highly successful Kickstarter campaign. The new design translates Lima's desire to transform its audience from early adopters to everyday consumers. It helps the company convey better the simplicity of their product. Lima announces a new design for their device, only 2 months after the end of their highly successful Kickstarter campaign. Lima is the first product offering to unify the memory of all our devices. It changes the way our devices store data, so they can all display exactly the same files. 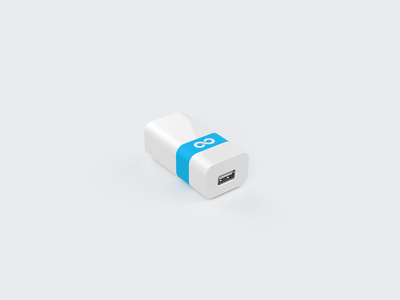 The product removes the need to use « auxiliary » storage solutions, such as the Cloud or USB keys, to move content from one device to another. After 2 years of research & development, Severin Marcombes (CEO) and Gawen Arab (CTO) decided to launch their project on Kickstarter in July 2013. « Two things where important to us : getting feedback about the new paradigm introduced by Lima, and collecting enough funds to start a first batch of production » indicates Severin. Lima was met with massive enthousiasm, and soon became the 6th most funded technology project on the platform. It raised $1.2 million dollars in only 60 days. In addition to creating a community strong of 13,000 backers around the project, this success helped the company position itself as the first player in the field of « storage unification ». What happens when a project receives nearly 18 times the funding they initially asked for? « It gets an incredible amount of feedback and requests from people who want to know more or help the project », according to Severin. « We got contacted by several major tech and storage companies, but also by nearly a hundred of both small and big-names distributors and investors. Above all, a successful crowdfunding campaign is also an amazing booster. ». Re-designing the Lima translates the company's desire to transform its audience from early adopters to everyday consumers. « We had a great, minimalist design. We decided to raise the bar even more. » explains Severin. The new version of the device introduces a more curved design. White was chosen instead of black, with a colored and personalizable band. « The key element of our product is its simplicity. We wanted a device for normal people. Having a box in white and colors helps us convey this message even better. ». As Severin Marcombes explains : "We started Lima because we are convinced that the future of computers goes through a solution unifying the memories of our devices, which will make everyday people's life easier. This project required us to introduce a new paradigm for storing and organizing our files, but also to define an entirely new product category" he continues. "With so many backers on board, we have a strong validation for pushing the project forward. Now we need to spread our technology and vulgarize our message, so that we can talk to the mass market and make sure we always stay one step ahead.". Lima plans to ship its first devices in Spring 2014.